Dizziness can be caused by numerous disturbances to one or more of the balance centres. 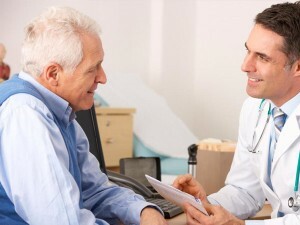 Based upon your history and physical findings, your physician or rehabilitation specialist may require further tests to complete a full evaluation. clinical tests of vestibular function. The object of these evaluations is to be certain that there are no serious or life-threatening diseases, and to pinpoint the exact site of the problem. This lays the groundwork for effective medical, rehabilitative, or surgical treatment. Diagnosis of vestibular disorders can often be difficult. Frequently, multiple tests must be conducted and not all vestibular disorders can be identified on these tests. Patience and understanding is necessary on the part of the doctor and patient alike. The balance system has two main jobs. One is to stabilize our eyes so that we can look at something with our 3D visual system. The other is to stabilize the body and help to keep us ready to react quickly – for example, stay upright when standing on a bus that comes to a sudden stop. Testing is offered at several locations in British Columbia. A referral from a specialist is required to book an appointment. 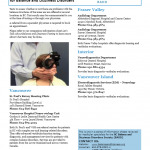 View our guide to diagnostic services in BC for the locations of testing centres. Download a printer-friendly version of this document (PDF). Why are balance tests done? Balance tests assess whether or not there are problems with the balance structures of the inner ear and/or and their connections with our eyes, central nervous system and the proprioceptive system. These complex structures sit beside the hearing structures of the inner ear (cochlea). The balance system consists of five sensors in each ear—three fluid-filled semicircular canals and two otoliths (utricle and saccule). We currently have the ability to assess all ten of these sensors. A full assessment of the vestibular system (balance system in the inner ear) can take up to three or four hours and may be done over several appointments. Will they make me dizzy? The majority of the diagnostic tests cause little or no dizziness. 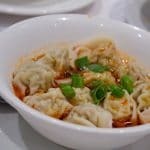 One portion, however, can bring on symptoms such as dizziness and only rarely nausea. checking for small echoes coming from the inner ear in response to a sound. The resulting test patterns can potentially reveal problems with the balance system. A normal hearing test is in itself informative. There are pathways that go from the otoliths (utricle and saccule) in the inner ear to different muscle sets. These pathways stimulate responses that can be measured on the muscles. Currently, two types of muscle tests can be done to assess the utricle and saccule. The cVEMP (Cervical Vestibular Evoked Myogenic Potential) test, uses the muscles in the neck to record a response from one of the balance system structures called the saccule. Sensors are attached to the forehead, collarbone and on either side of the neck. Loud sounds played through earphones activate the saccule as the patient contracts the neck muscle on one side, then the other. A properly functioning saccule will evoke a response. No response on one side or on both sides is abnormal; an asymmetrical response (one side significantly different from the other) also suggests that there is something wrong. One other part of the cVEMP test lowers the sound volume to a level where there should not be a response (it should disappear due to the thickness of the skull protecting the saccule). However, if there is a thinning of the temporal bone (called a dehiscence), these lower volume sounds will evoke a response – this is abnormal. cVEMP testing can take anywhere from 15 to 30 minutes in most centres. Occasionally it can cause a slight sensation of brief dizziness. The second test that involves muscles is the oVEMP (Ocular Vestibular Evoked Myogenic Potential) test. It engages the little eye muscles around and under each eye. Sensors are attached to the collarbone, sides of the nose and under each eye. At some testing centres a sound is played in the ear. In other centres a device called “mini-shaker” is used to activate the utricle by strongly tapping the forehead. The response on both sides is again measured. No response on one or both sides, or an asymmetrical response, indicates a problem with the utricle. The oVEMP test can also help detect a bone dehiscence or a thinning of the temporal bone. The test takes about 5 to 10 minutes. Most people do not get dizzy or nauseous with this test. The GANS Sensory Organizational Performance (SOP) test and Computerized Dynamic Posturography (CDP) are different ways of assessing overall patterns of balance performance under different conditions. Some centres use the GANS SOP test and others use CDP. Although no test of balance performance can provide a specific diagnosis, there are patterns of results that can be correlated with other vestibular tests and may indicate different types of balance disorders. As mentioned above, one of the jobs of the balance system is to stabilize the eyes; this vestibular-ocular reflex (VOR) allows us to keep our gaze stable while moving our head. The vHIT (Video Head Impulse Test) assesses how the VOR is functioning. Patients put on special goggles that record eye movements when the head is moved quickly. People with neck problems may not be able to do all or parts of this test. The vHIT test assesses all six semicircular canals. Most people do not get dizzy or nauseous with this test. VNG (Videonystagmography) tests involve wearing goggles fitted with infrared cameras that record eye movements. VNG tests may reveal nystagmus, an abnormal involuntary repetitive “jumping” movement of the eyes - this may be an indicator of vestibular malfunction. There are three main types of tests done with VNG goggles. Oculomotor tests assess the brain’s ability to make and control voluntary eye movements. Abnormal results can indicate problems in the brain stem and/or cerebellum (part of the brain at the back of the skull). Most people do not get dizzy or nauseous with this test. These tests assess the six semicircular canals, as well as look for possible problems in the central nervous system. They are done in a variety of positions, including those that are known to bring on vertigo (spinning sensation) for a patient. Positioning VNG tests are helpful in detecting a fairly common disorder known as BPPV (Benign Paroxysmal Positional Vertigo). If a patient has BPPV, the test can cause a brief episode of dizziness; this can be very helpful in diagnosing this disorder. Also known as the “water test”, this test assesses the lateral (horizontal) canals and corresponding nerve pathways. The left and the right ear are tested one at a time by putting warm or cool water in the ear for 30 seconds while the patient wears the VNG goggles. Some pressure may be felt in the ear canal. The temperature of the water transfers to one of the semicircular canals and warms it up or cools it down in comparison to body temperature. This temporarily tricks the vestibular system and often induces brief dizziness. The caloric test is done at least once in each ear with warm water in some centres. Often one warm and one cool irrigation is done in each ear. Very rarely ice water is used to determine if there is any function at all left in that part of the vestibular system. It is very helpful both for the patient and also for the assessing clinician to compare the dizziness caused by the water test with the dizziness that the patient is suffering from. This information is intended as a general introduction to diagnostic testing. As each person is affected differently by and dizziness problems, speak with your health care professional for individual advice.